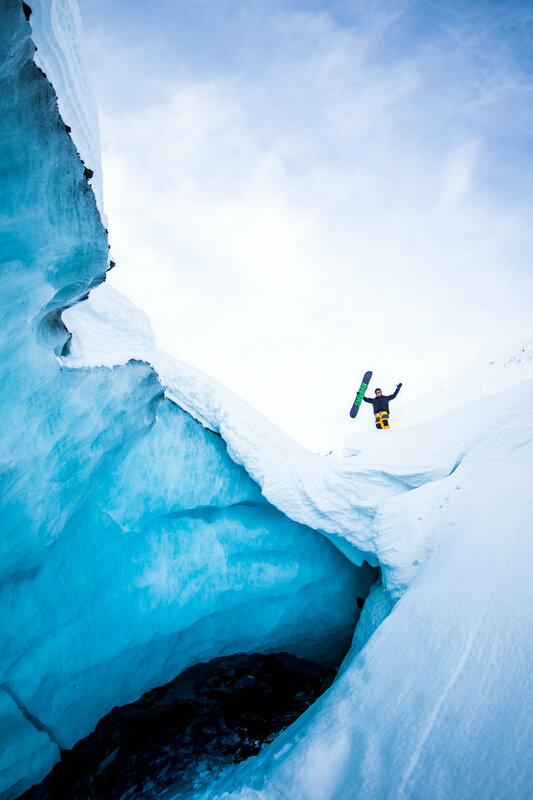 Tailgate Alaska is a community of backcountry enthusiasts who gather for a 10 day event to ride the world's most famous mountains. WHEN IS TAILGATE ALASKA 2019? WHERE IS TAILGATE ALASKA 2019? Mile 29.5 on the Richardson Highway in the heart of Thompson Pass on a historic airstrip. WHO ARE THE PEOPLE OF TAILGATE ALASKA? An international community of riders with different experience levels. Read about our people here! HOW IS TAILGATE ALASKA POSSIBLE? The dedication of like-minded individuals and businesses who share the goal of riding Alaska at its best. we recommend renting a motorhome in anchorage with your friends and staying in that on the pass. we will have a DISCOUNTED rate with a partner in anchorage for ALL TICKET HOLDERS. SOME PEOPLE dig snowcaves and camp out in those for 10 days. others bring school buses. the gypsies construct a cabin for the 10 days, while others stay at hotels in valdez. We love riding powder - and here there is more than enough to share. From the lower 48 you are looking at about 40-70 hours behind the wheel (unless you drive from Maine, which one participant did and is much further). For the most part, the roads are good. However Destruction Bay lives up to its name with 250 miles of major frost heaves. It is up to you! One year, we had a guy show up, build a snow cave and skin the mountains around camp. He only had to cover his food and travel. On the other end of the spectrum, you could easily spend 7-10k if you did heli drops everyday. This is probably the most misunderstood aspect of riding in AK. About 80% of the terrain is intermediate. With plenty of rolling terrain for even novice backcountry skiers and riders. There are definitely risks involved with riding here like any other place you would ride in the backcountry and some risks that are unique to Alaska e.g. glaciated terrain. The goal of Tailgate Alaska is to provide a starting point for all skill levels of backcountry users to access these mountains. Putting together Tailgate Alaska is an expensive undertaking. Clearing the lot, getting permits, insurance, porta-johns, staff, beer garden etc. It adds up quick, especially in Alaska.